Here are a few practical tips to increase the success of social media advertising campaigns. 1. Pick a main goal for the campaign first: More blog page views? App downloads? Email sign-ups? New followers/fans? Although this tip may sound like a no-brainer, my point is that the goal should be determined first - before the content is created or projections are made. This goal should shape what you say and how you say it - especially the call to action. It will determine where all your links take viewers and what they’ll see when they get there. And, it will definitely determine keywords used and what platforms are chosen. 2. Use “real,” custom photos instead of stock images. Even better - use customer photos when possible. BarkBox has mastered this practice. 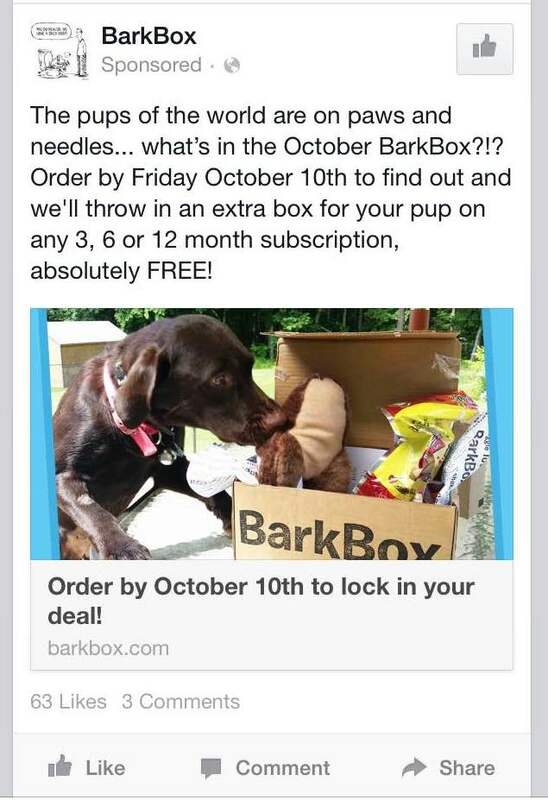 The subscription box company that mails out dog treats and toys every month runs eye-catching Facebook ads (see below). They use actual customer photos illustrating happy dogs with their boxes. This is genius because even though the photos might be grainy or blurry, you can tell they’re real photos taken by real pet owners. There’s a certain trustworthiness to the images that resonates in social spaces where bland, uninspired images tend to dominate. 3. Include several variations of ads and see what happens. Base the success of the ads on past ad performance or use averages for the platform. Create several ad options, evaluate during the campaign, then cut dead weight. It’s important to experiment with ads - especially on social media. You never know what combination of images and messaging will strike the right chord with viewers. Then determine which ads are performing well and which ones are flopping, delete, re-asses and build something new. It’s important to remain flexible and willing to change things up. 4. Try non-traditional advertising like posting ads on niche blogs or offering sponsored posts. The blogosphere is alive and well, and businesses can harness the power of tight-knit interest groups online. Depending on the blog’s audience and popularity, blog ads can range in price - from $20 and up per month per ad. Be sure to ask for a blog’s media kit to ensure your ideal audience is being reached. Or, skip the ads and offer a giveaway or a sponsored post instead. 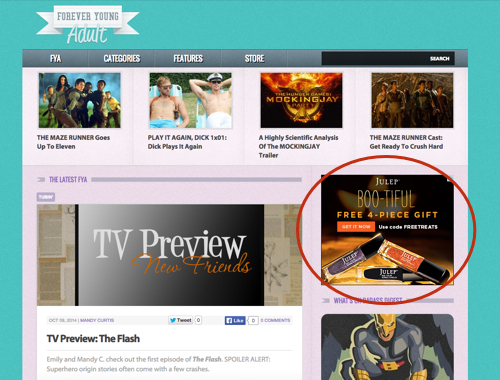 Blogs are in constant need of content and giving away free stuff can never hurt. Sponsored posts are written in the voice of the blogger - which ads authenticity clearly - and clearly promote a brand or product. They are guaranteed to be less expensive than print advertorials or native advertising. It’s just another option to add into the social media advertising mix. Overall, if you’re constantly asking yourself, “If I saw this ad in my social feed, would I be interested/click/sign-up?” then your social ads are heading in the right direction.